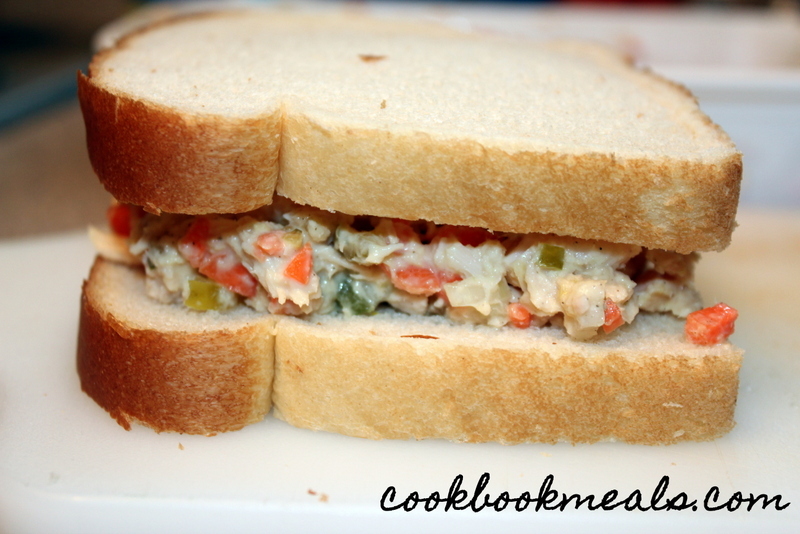 Like I mentioned in my Egg Salad post, my husband is working from home more and needs easy yet satisfying lunches to keep him fueled during the day. 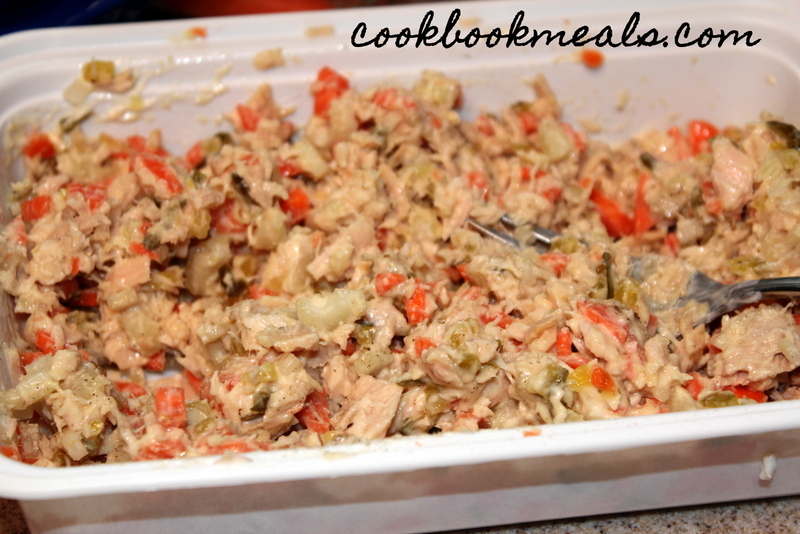 Besides the egg salad, I have been making him tuna salad quite a bit. 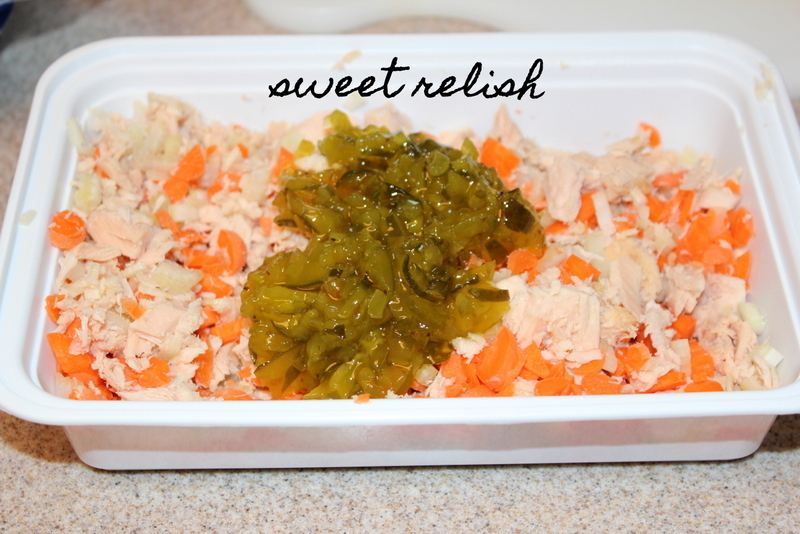 This is definitely his version of tuna salad, as he prefers some crunchy vegetables in it (as well as more mayonnaise than I would like!). 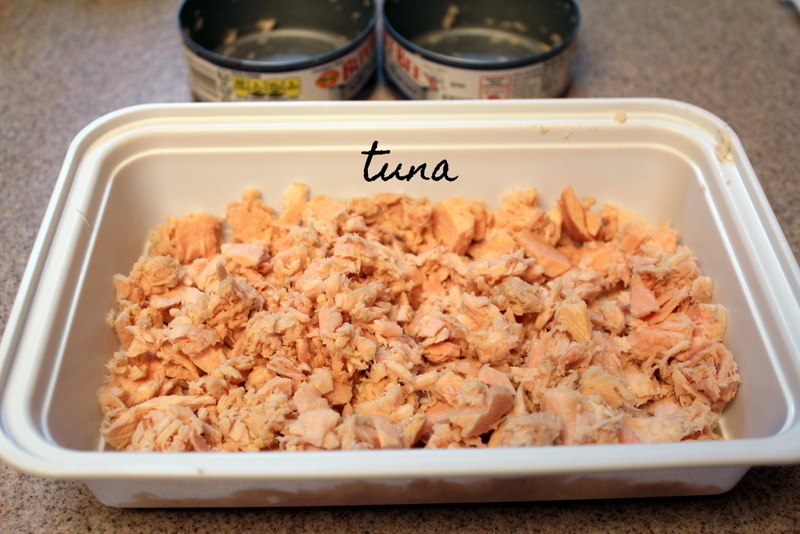 The best part about tuna salad is how quick it is to make. You can make enough to make 4 sandwiches in a matter of minutes. 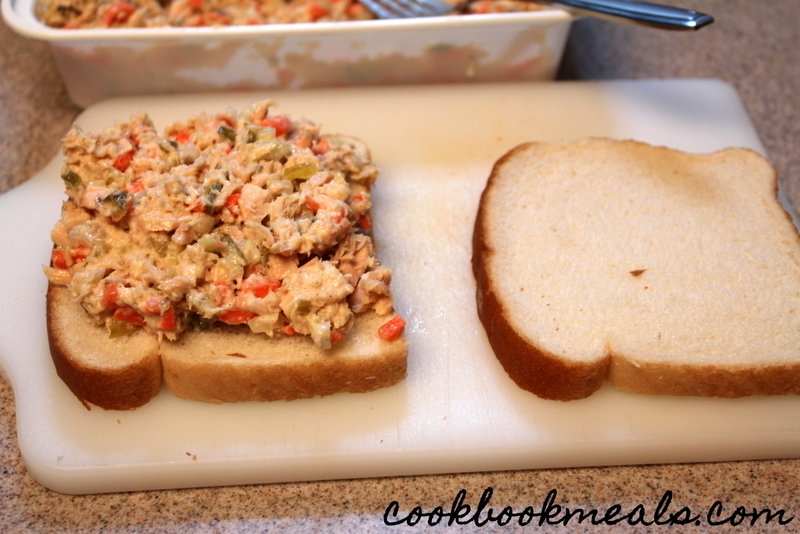 I love to use it to make tuna melts, which was my favorite lunch in college (with extreme garlic fries!). Just toast some bread, add the tuna, top it with a slice of cheese, and put it under the broiler to warm the tuna and melt the cheese. Yum! 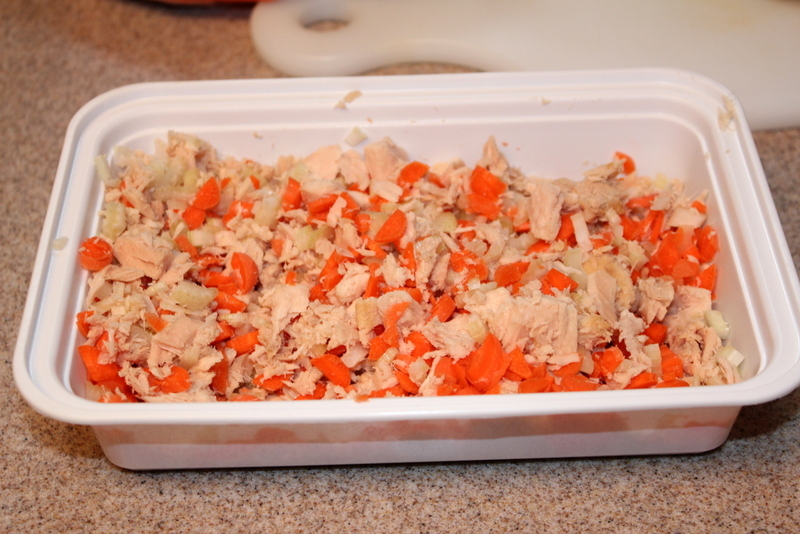 Use a fork to break up the large chunks of fish. 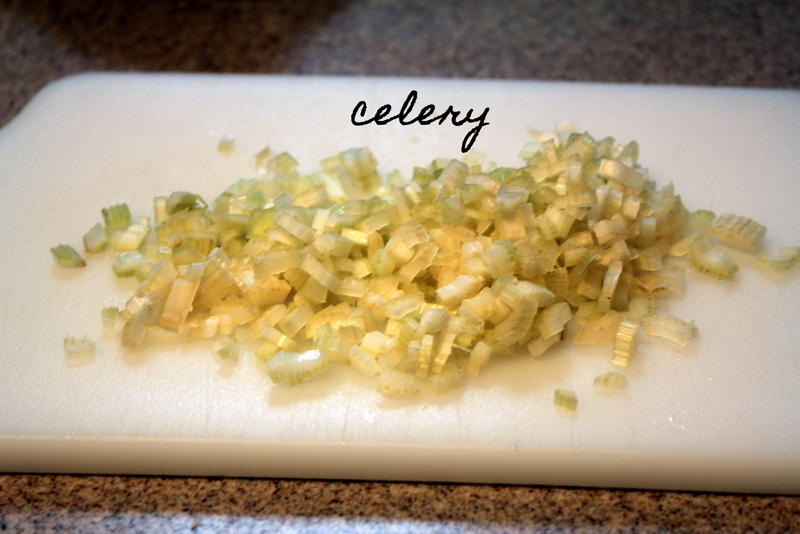 Finely dice 2 stalks of celery. 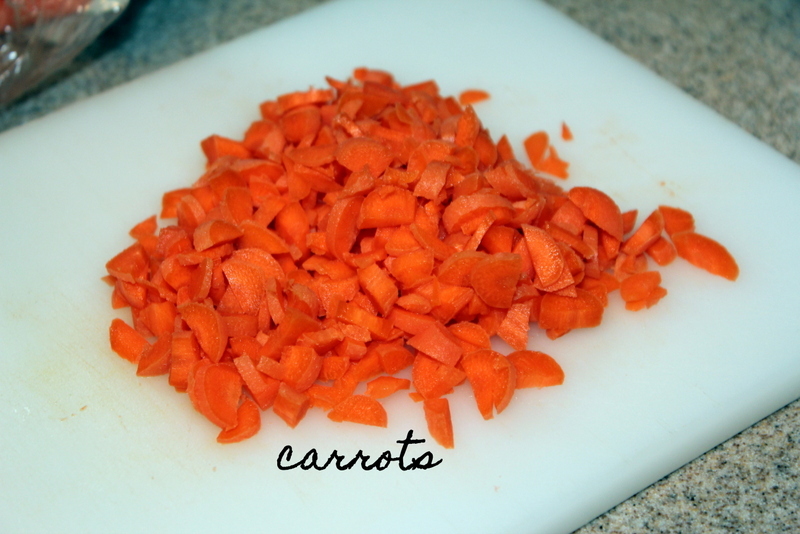 Carefully dice 10 baby carrots (or 2 regular carrots). 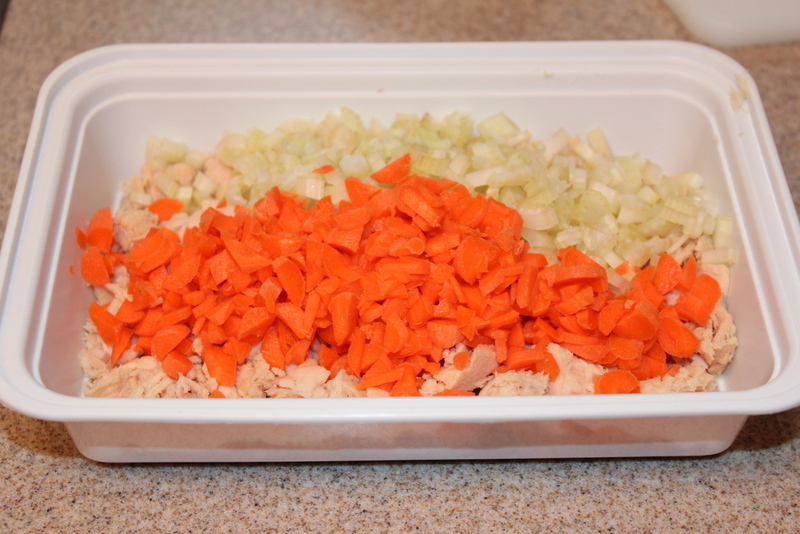 Add the celery and carrot to the tuna. 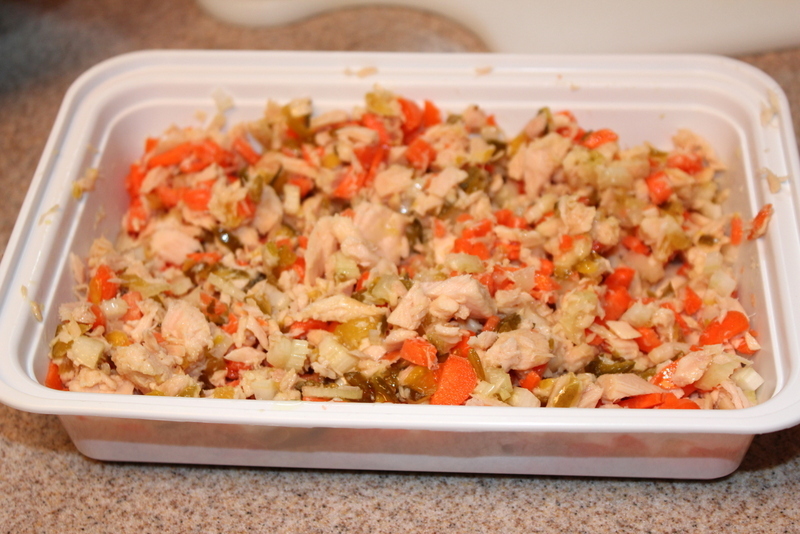 Add a couple of heaping tablespoons of sweet relish. 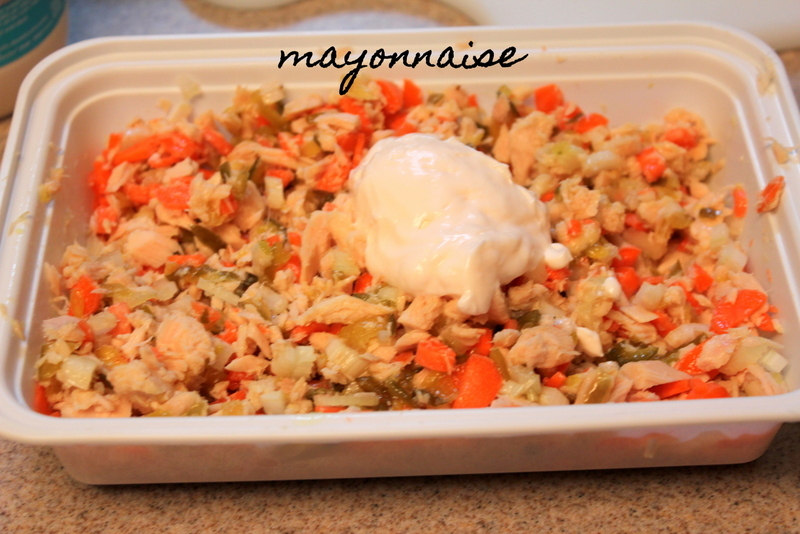 Add 1 large tablespoon of mayonnaise (or more if you prefer a wetter tuna). Stir until the mayo is fully incorporated. 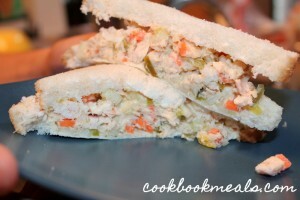 Serve between two slices of your favorite bread. 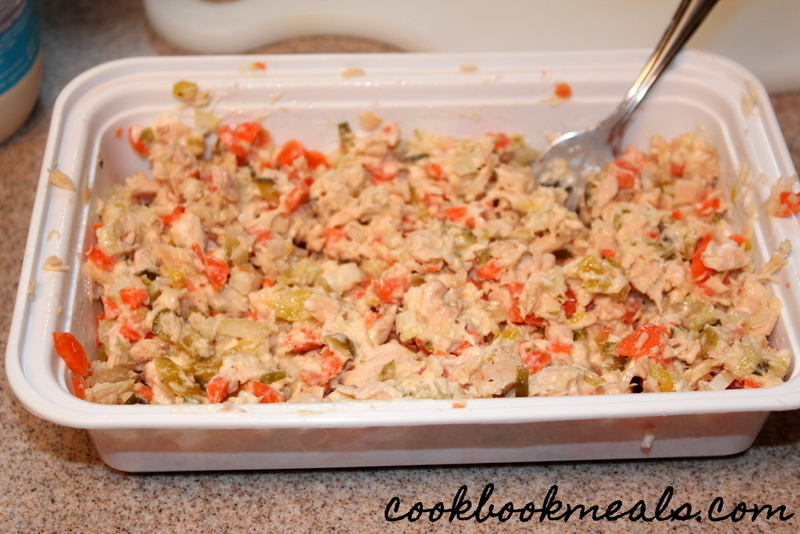 Combine the tuna, celery, carrots, relish, and mayonnaise in a bowl. 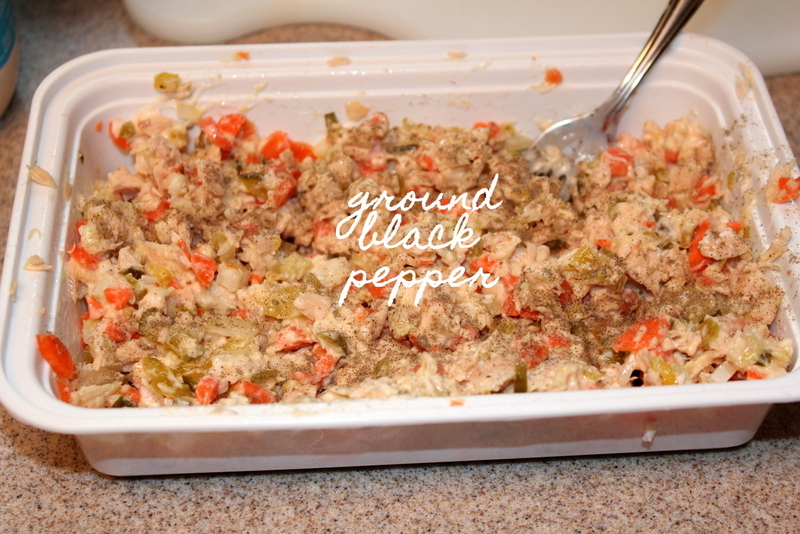 Season with pepper, to taste. Serve on bread as a sandwich or by itself. 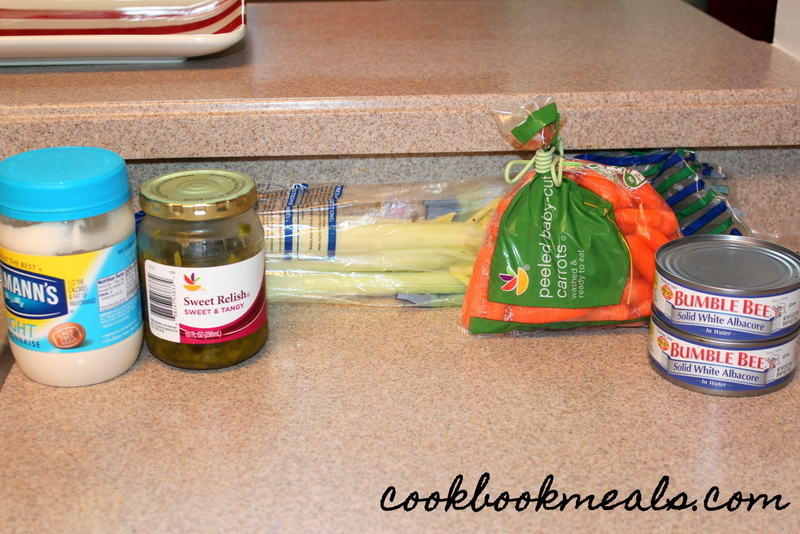 All writing and photography is copyright © 2011-2018 by Cookbook Meals unless otherwise indicated. All rights reserved.